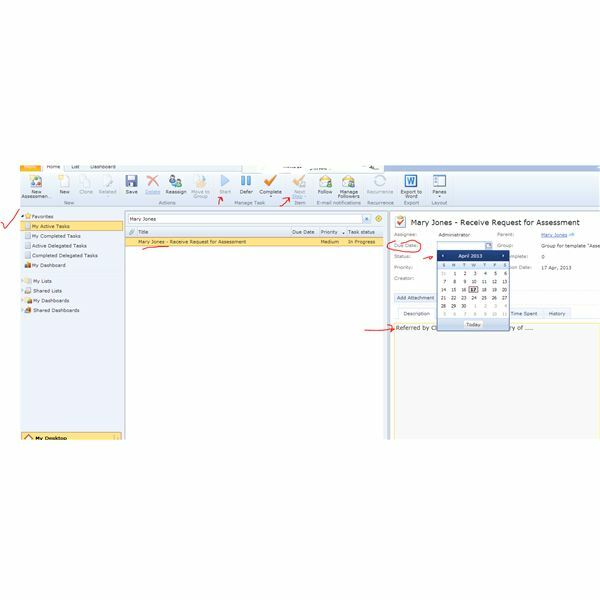 Comindware Tracker offers both Internet-based and downloadable versions of its software for managers who want to achieve a better level of task management. You might start out using it as a way to organize your recurrent tasks. Then you might discover, through the process of grouping tasks, that by automating certain processes you can achieve smoother, more effective collaboration between members of your team and maximize efficiency. Once you get past those benefits, you will discover additional ways to put Comindware to work for you—by graphing types of work performed, measuring the amount of time worked, and more. I have to admit, I got off to a rocky start with the product. I Initially tried to download Comindware as a free trial, and kept getting a message reading, “We have accepted your request to create a product instance. This operation may take up to 5 minutes. Please refresh this page a bit later.” I was able to get some assistance from Comindware staff, who told me that my complaint helped them to discover a bug they were able to correct. With the cloud version, the first tutorial video in the video series would not play, although at a later date during my trial period I found it operational. Eventually I connected with a training manager who was very friendly and helpful. Tasks to be done only by myself. I mentioned this to my guide who advised me that Personal Tasks could never be assigned to others. A few days later I discovered I had gained the capability to create tasks in other categories. It’s very important, then, when you take Comindware Tracker out for a drive the first time, not to create experimental tasks without setting things up first. 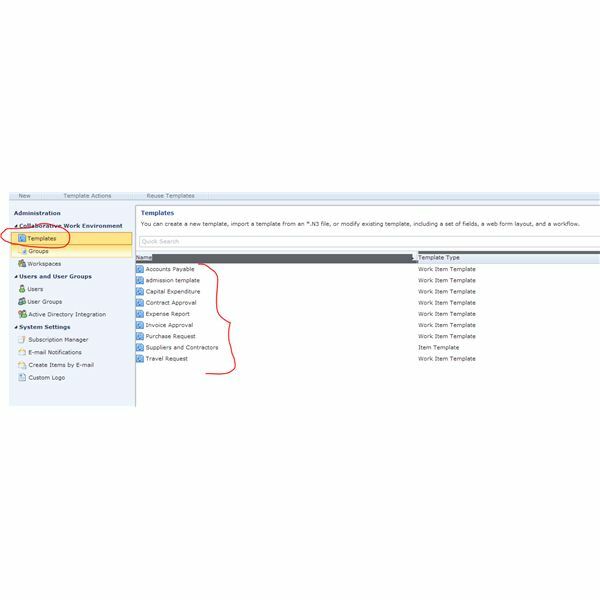 It’s better to stick with the One-Click Solution workspaces that give you access to templates commonly used within several different categories of departments–more on that later. If you’re like me, however, you’ll want to dive into this product’s tantalizing features and see how you can customize them for your company’s needs. Users are defined as either Architects or Administrators; if you’re one of the latter, let me take you through a successful setup of the product so that you can create tasks, assign them, and group them into automated task workflows. The first thing you want to do, before creating all types of tasks, is to set up a proper work environment. That means introducing Comindware to the people you’ll generally be working with. 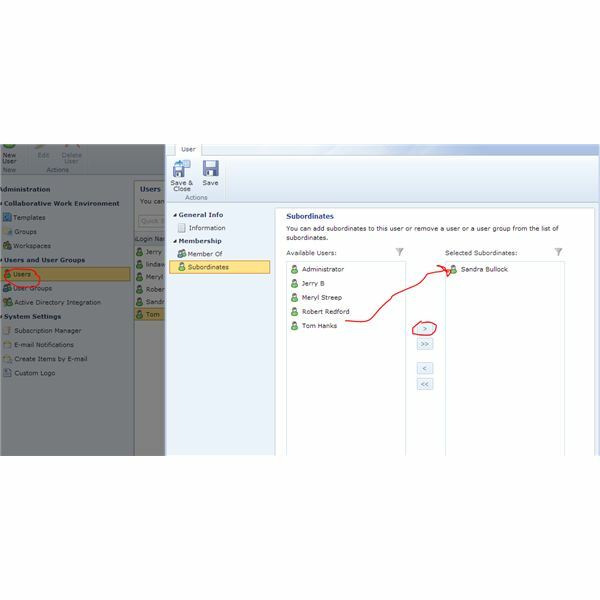 You can add users automatically if your server is set up with Microsoft Active Directory. Otherwise, you’ll just add them manually. will be a house, and if you click that you return to Architect mode. open a form that will let you enter name and contact information as well as create a password for each of your associates and subordinates. It takes patience to do this for all your people; I began by entering the managers of the departments I work with most often. Later you can go back and enter the names of their subordinates, or have an admin set this all up. 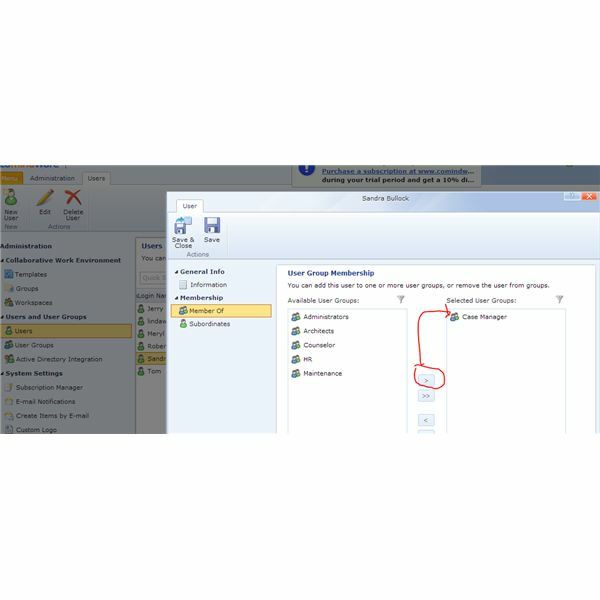 The image to the right refers to setup via Active Directory. But before you can actually set up all your people, take time to create your Groups and Workspaces. Here’s the difference between them: A Group is a connected group of people who commonly collaborate. A Workspace is more like a department. It might be a specific department, or it might be a group collaborative on a special project. Once I created my list of staff, I realized that their job titles fell into the Group categories. Take the time to assign your staff to User Groups. For Workspaces, I created a department called Client Services, and I also have a workspace, not shown here, called Finance and Administration. 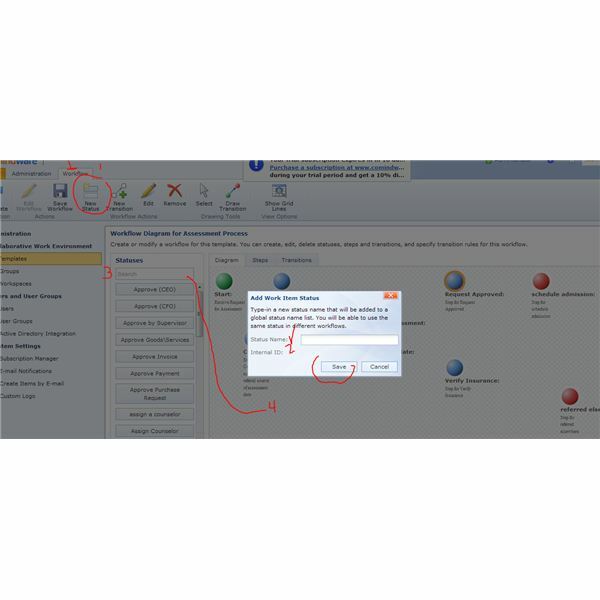 This latter comes from one of five One-Click Solution Setups offered by Comindware. If you work in Finance and Administration, Human Resources, Compliance and Policy Initiatives, IT Help Desk, or Software Development, you can opt for one of these pre-installed Workspaces complete with all the promised templates. 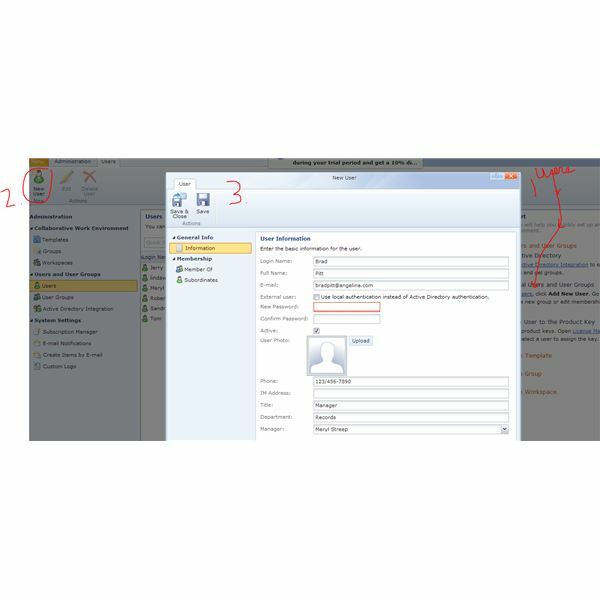 Two requests, Comindware: First, when I have forms open on my screen, I want to move them around with my mouse. Sometimes when people are working they get called away for a minute, and when they resume work they want to look at the screen behind the open form. Second, I wish the fields would automatically wrap so that you could see everything you’ve typed in. True, you have the ability to expand your columns, but that might diminish the ability to view input in another column. Once I had my Users, Groups, and Workspaces in place, I went back into Users and assigned subordinates. You might notice that besides HR and Fiscal heads, I’ve got some social-service-type people. For instance, Tom Hanks, Counselor, supervises Sandra Bullock, Case Manager. To assign Tom Hanks with the job of submitting a list of all referral sources for the current fiscal year, I created a task for him. Once I saved the task, additional ribbon options became available to me, to delete it, reassign it, follow it, and so forth. Tom, once he gets started on it, can use the Start, Defer, and Task Complete buttons to identify task progress. From my own dashboard, I can view Active Delegated Tasks and I see that Tom has deferred this task. Hey, Tom! Well, I’m going to help him out by sending him a spreadsheet on this year’s referral sources; it’s easy to upload documents to your Tasks. This was the part of Comindware that I really wanted to get my hands on, and it is fun: You have the ability to create a series of tasks, with various tasks assigned to different people, and automate them. For my example I used the Assessment Process of a social service agency. You might have a similar process if you are an advertising firm and a new client requests a meeting. 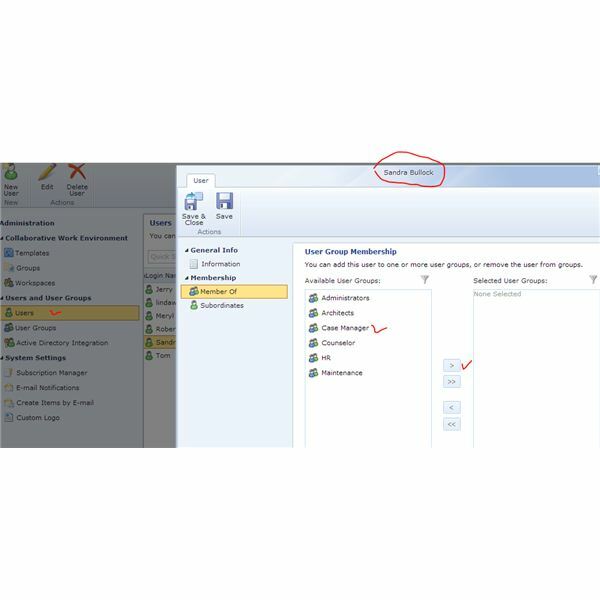 To create the workflow, you must go back into your Administrator’s screen. On the Administration tab, click QuickStart. On the right-hand side of the screen, under QuickStarts, look for Template. Click on that to open the Templates tab. Click on New Template. I named mine Assessment Process. 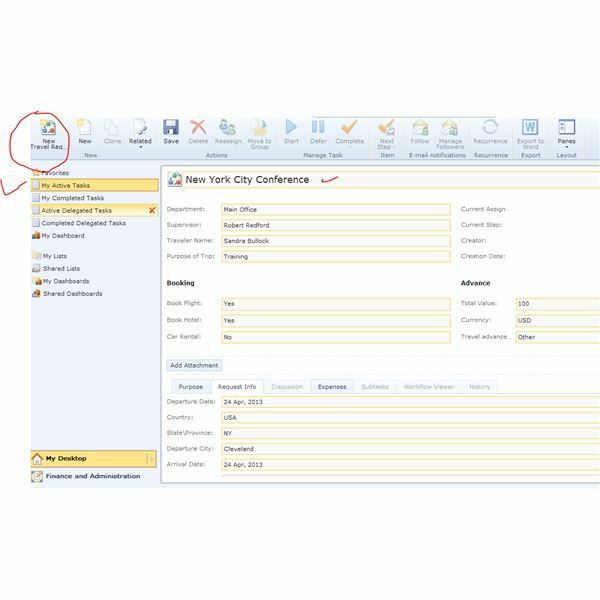 Be certain to check off the boxes for Enable Workflow and Create Item Group. 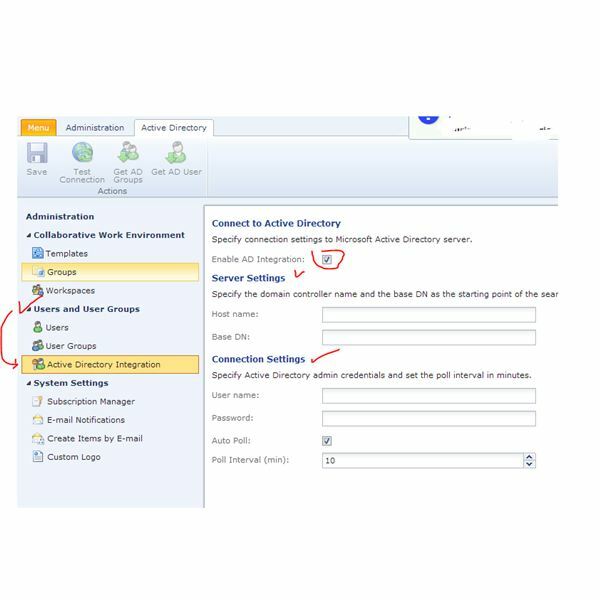 If you click on Create Item Group, you can assign the workflow to a Workspace. I chose Client Services. Choose Next. You will see a screen called Template Information. Here you can design a form layout for this template and then you can actually connect these interconnected tasks into a workflow. You can modify the form later if you decide on changes; my sample below is very basic but easily created. Back on the template information page, click on the Workflow icon. Under Statuses, in the empty search box, type in the name of what your first step is—if it does not already exist in Comindware’s rich supply, you can go to the ribbon and type New Status to create your own step. For each step you must select whether it is a Start Step (green), and Intermediate Step (blue), or an End Step (red). As you create each step, drag it out onto the right-hand side, where it lands as a green, blue, or red ball. Once you have all your steps, draw lines between them using Draw Transition on the Workflow tab. Each of the Start and Intermediate Steps must have a Transition line. Click on the Steps tab to see a list of all steps. 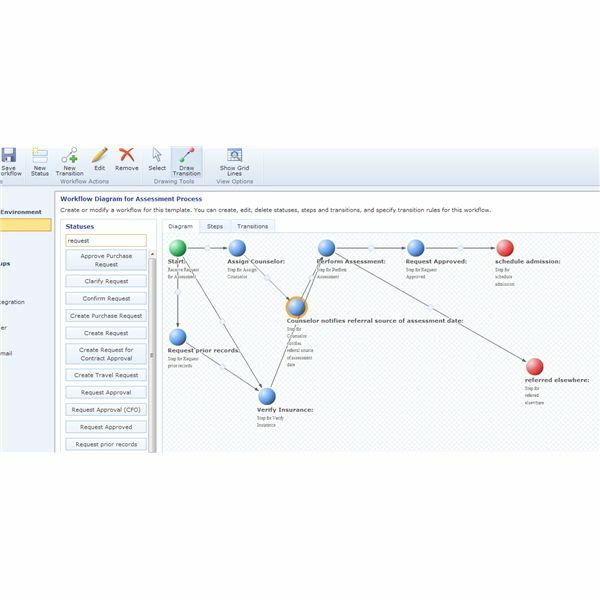 Click on Transitions to see all the connections between your tasks. 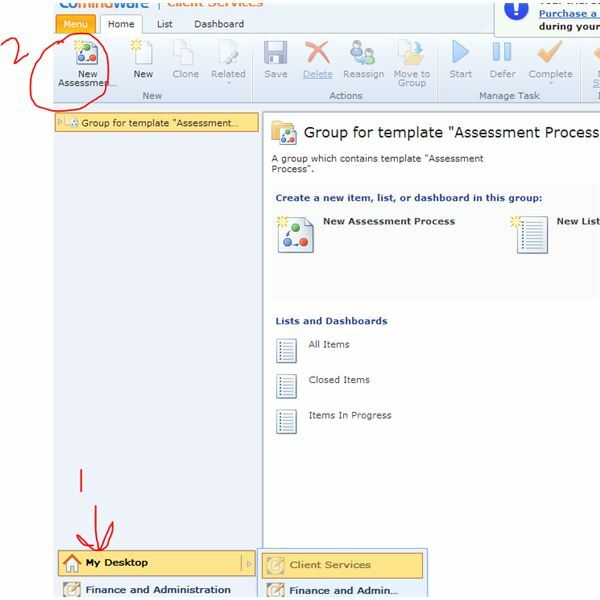 Return to Groups under Collaborative Work Environment and double-click on the Group for your new template. Set permission levels in all categories. For this template, I chose Everyone. Go back to your desktop (the cog will appear once again in the upper right-hand corner). At the bottom of your screen, select the desktop for Client Services. 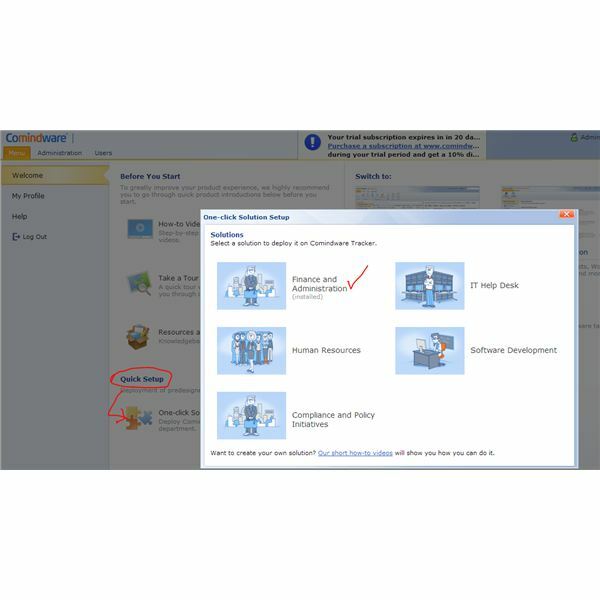 Once on that desktop, your workflow for Assessment Process appears on the ribbon. 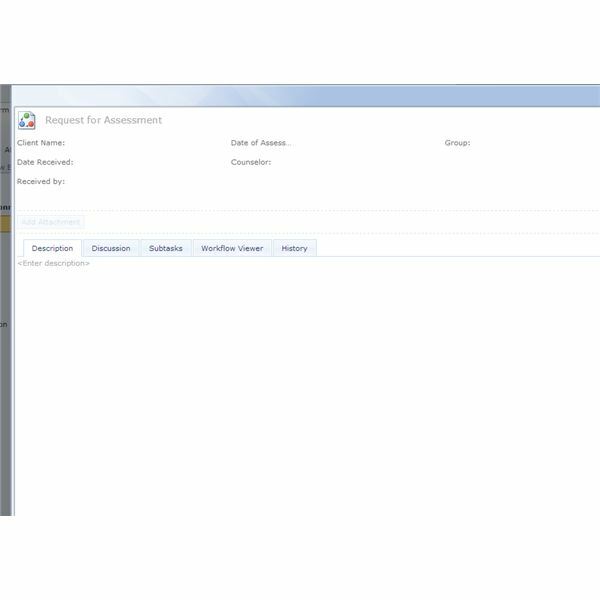 If you receive a phone call requesting an assessment, you simply click on the workflow icon. The form you created pops open. Type in the name of the prospective client and click Save. Your workflow is started and normally would go to Sandra Bullock, the first person listed for this series of tasks. I reassigned this task to myself at this time, however, so you can see that when I select My Active Tasks, I can click Start in the Manage Task group on the ribbon. Once I enter information, possibly about the referral source or the client’s particulars, and choose a date for the assessment, I click Next Step. I can also click on the Time Spent tab to log time on this task. If I click on Parent: Mary Jones (this client’s name), I will go to a screen that lets me see all the steps of the workflow. Using Preset Solutions: The Many Promised Templates! 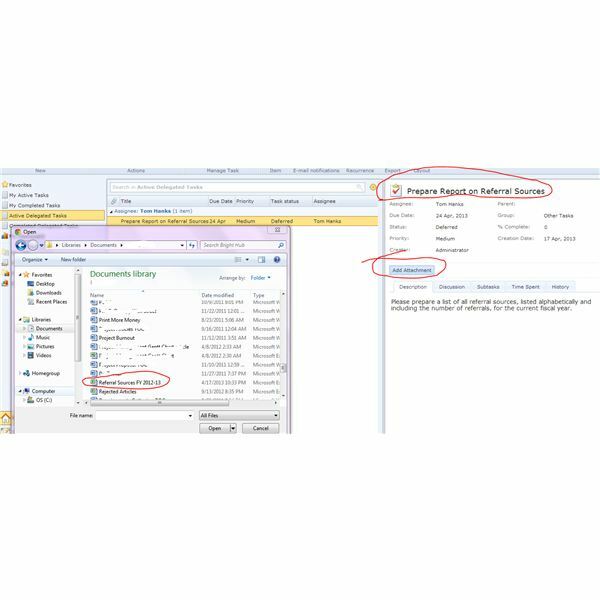 As previously mentioned, you can download preset task solutions in five areas – Finance and Administration, Human Resources, Compliance and Policy Initiatives, IT Help Desk, or Software Development. No matter what your business is, some of these tasks will work apply to your company. You choose the desktop for that Workspace at the bottom of the left-hand panel and then view your list of Active Tasks. When you select the task you want to accomplish, it will appear in your ribbon. To the right you can see my request to travel to New York City for a training conference. 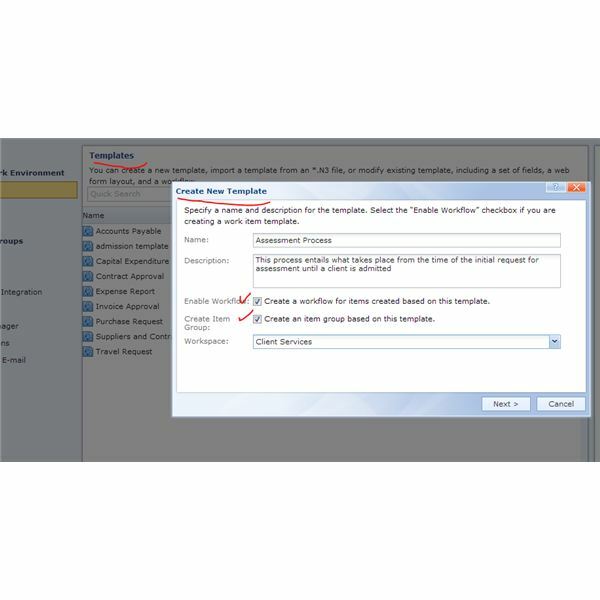 Fill in the form and save; the action to Reassign this task appears in the ribbon since, as a template workflow, nobody at your company has ever been assigned to perform it. The assignee can go to his or her Active Tasks and can choose Start. There are all kinds of little extras offered by Comindware: You can view graphs of hours worked and tasks accomplished. 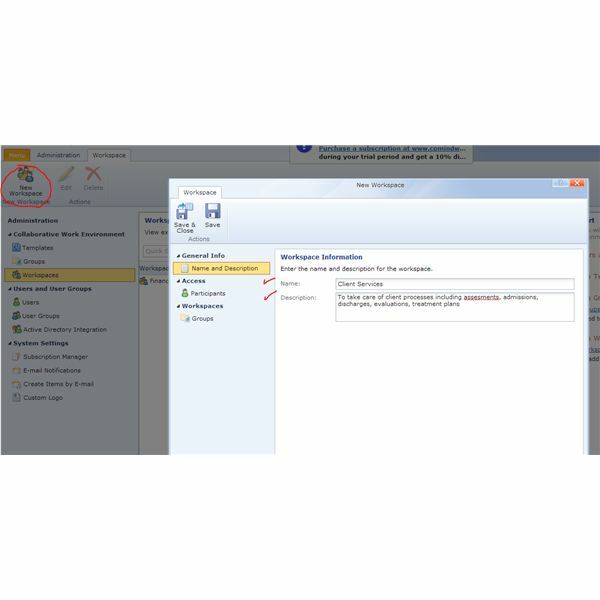 Staff can opt to follow task progress by receiving emails as each step of a task is completed. You can upload a corporate logo for display along the top of your screen. And it’s accessible from any of your devices. I must say that even though Comindware Tracker gets my creative juices flowing and excites me with its possibilities, it comes with a definite learning curve. This is not a software that you will acquire and immediately jump into using. Allow yourself time to learn its intricacies—little things like going back to the Welcome menu and seeing that you can switch back and forth between My Desktop and Administration, for example, or exploring My Desktop options at the bottom of the left-hand side. If you want to follow your subordinates’ tasks, you’ll have to set it up on the User sections. But once you begin to get the hang of it, you’ll love it. 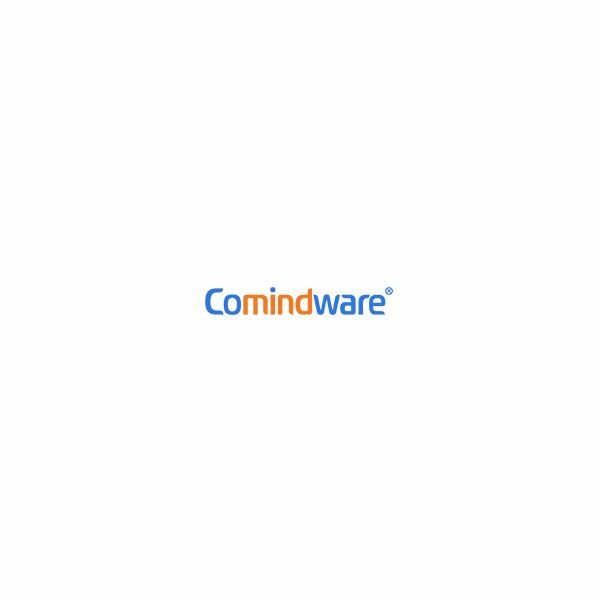 You can choose to sign up for training with Comindware, for yourself or for your employees. The company also offers excellent downloadable manuals. Pricing is less expensive for the downloaded version because you pay only once, $375 per user. With the cloud version, you pay $250 per user per year. That’s a bit steep, but affordability depends upon how many people in the company can access the software: If you intend to give access to the front-line people who typically perform many tasks—receiving an incoming call for admission to social services, or contacting a travel agency to make reservations—you will need to buy licenses for many people. It might be an idea for Comindware to consider a pricing adjustment for companies with a large amount of employees but only a few who are administrators. Ultimately, however, you will be the one to decide if this product suits your corporate structure. If you are part of an enterprise, it would behoove you to contact Comindware’s professional staff for advice on setup and training options. Considering this user’s overall positive experience, why not sign up for a free trial and find out?